Bring back your healthy glow for SPRING with a FREE Vitalize Peel ($150 value) at our VIP Peel Event! 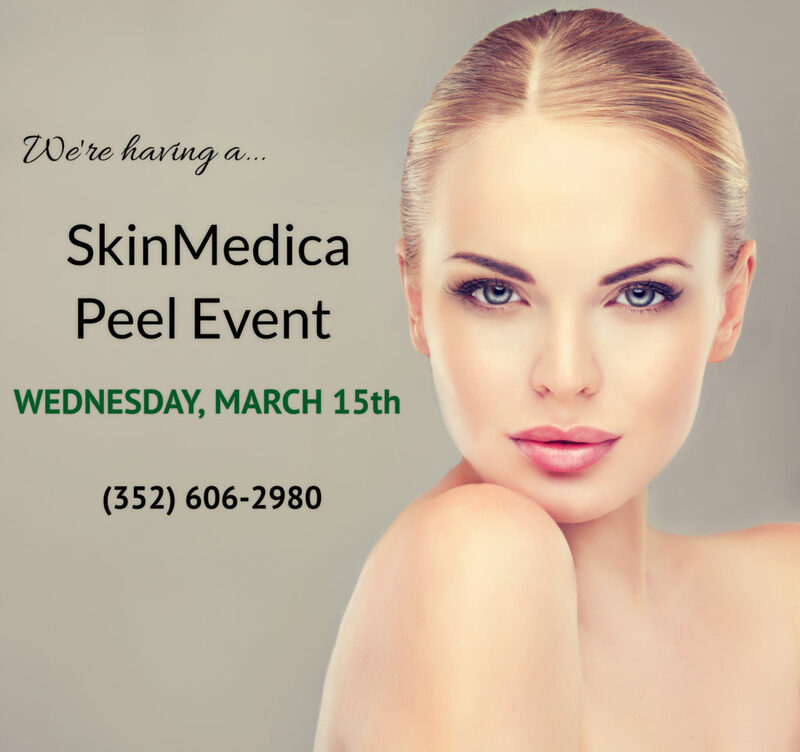 A $99 Deposit is require to reserve your spot, which will be applied towards SkinMedica Products purchased at the event. 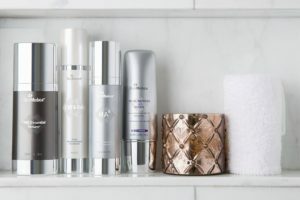 Frankie will prep your skin & apply your FREE Peel, after which you will have a personal consultation with our SkinMedica expert, Kelly, who will design a skin care plan specifically for your skin’s needs. Three amazing product packages will be available at a reduced rate to choose from & ALL products will be on sale that day ONLY. What does a Peel do??? 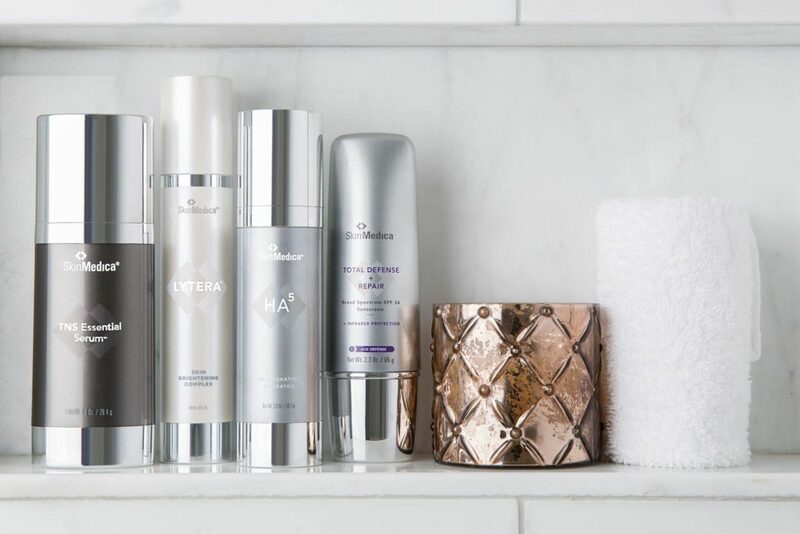 SkinMedica® Peels address the visible skin imperfections that result from skin aging and sun exposure, such as fine lines and wrinkles, uneven skin tone and texture. Peels also address skin tone unevenness that can be caused by acne scarring or pigmentary changes. After the Vitalize Peel®, patients may experience some peeling within 48 hours that will last about 5 days, after which they will experience an improvement in the appearance of overall skin condition, diminishment in the appearance of fine lines and wrinkles, smoothness of skin texture, more even skin color, and improved skin clarity. AHA/BHA Exfoliating Cleanser – gently scrubs away dead skin using ultra fine jojoba beads with alpha-hydroxy and beta-hydroxy acids to improve skin tone & texture. Lytera – a non-prescription product that brightens skin, evens skin tone & reduces the appearance of brown spots. Retinol .25 – this exclusive formula is encapsulated with PhytoShield Complex – an advanced antioxidant complex that maximizes retinol delivery and removing the irritation commonly associated with retinoids while making skin firmer, tighter, shrinking pores & giving a brighter, healthier glow. Essential Defense – an oil-free, fragrance free & paraben free pharmaceutical grade sunscreen with titanium AND zinc oxide for UVA/UVB protection. SkinMedica Cleanser – a foaming, soap-free cleanser that gently purges dirt, makeup & environmental pollutants from the skin as it hydrates and refreshes. HA5 – our #1 selling product is a hydrator that works to support moisture in the skin. It contains 5 different forms of hyaluronic acid (HA) that work synergistically to provide instant smoothing results and continuous hydration throughout the day making your skin feel softer and smoother. Total Defense & Repair – a revolutionary “superscreen” that not only protects the skin from infrared-A, UVA & UVB rays, but also helps to correct the signs of aging by improving the skins firmness, tightness and elasticity. Recovery Complex – this patented rejuvenating treatment contains a unique blend of over 110 growth factors, antioxidants & proteins clinically proven to improve the appearance of fine lines, wrinkles and overall skin tone & texture. TNS Essential Serum – an all-in-one skin rejuvenating treatment that contains the Recovery Complex (revolutionary growth factors) on one side, PLUS 3 peptides, 7 anti-oxidants, brightener & hyaluronic acid spheres to improve skin texture, tone & resiliency of the skin, leaving it healthier and more youthful looking…amazing stuff!!! Reserve a spot for you and a friend TODAY before they’re all gone! We only have 10 – 1/2 hr. spots available for this event beginning at 10am, so don’t delay!